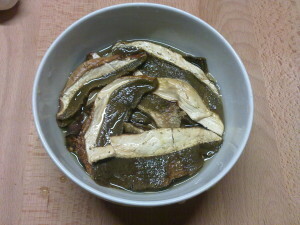 Put the dried mushrooms in some warm water (or broth) to revive. 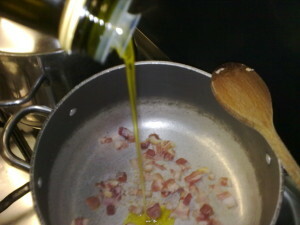 Using a capable pot fry the pancetta in two spoons of extra virgin olive oil. 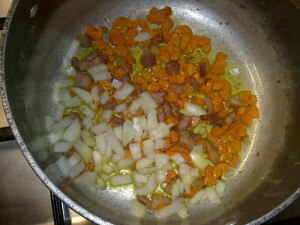 as the pancetta is roasted add the carrots. 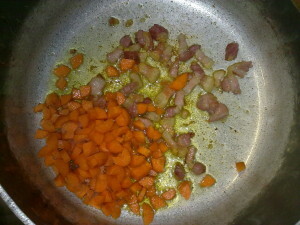 As the carrot takes color you add the onion; let fry until the onion fades. 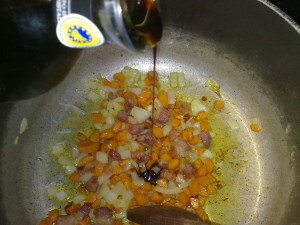 Add half of small spoon of balsamic vinegar; stir well. 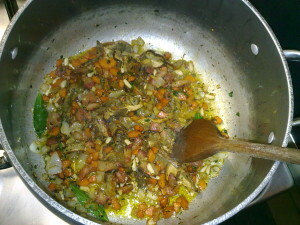 Drop the chopped garlic & parsley. 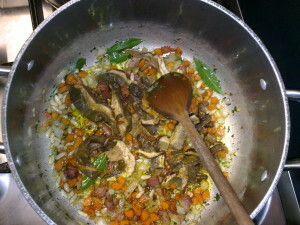 After you squeeze the water from the mushrooms you add them in to the pot; let fry for two to three minutes. 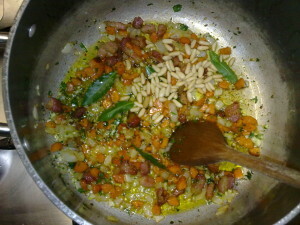 Add a quarter of glass of white wine. 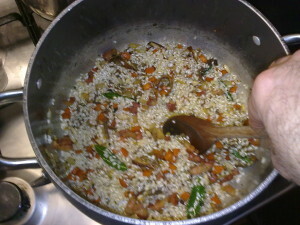 Stir well mixing everything for one or two minutes. 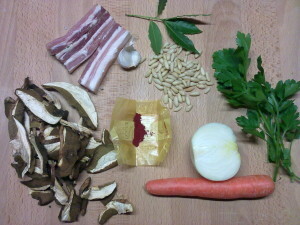 I prepared a broth with two feet of pig, onion, garlic, laurel, juniper berries, salt. 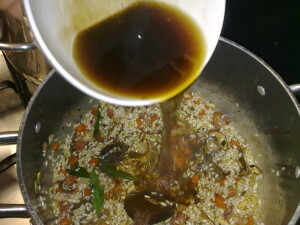 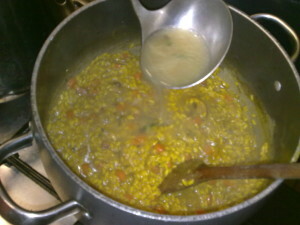 Start adding broth (warm or hot) in small quantities: the rice has to absorb it and not to boil in it. 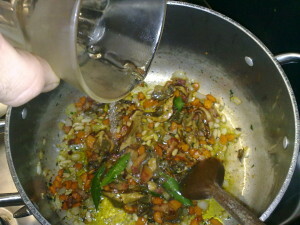 Add the water used to soften the dried mushrooms too; be careful to not drop residuals, you can filter the water. 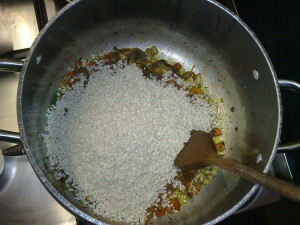 Stir until the rice becomes dry again. 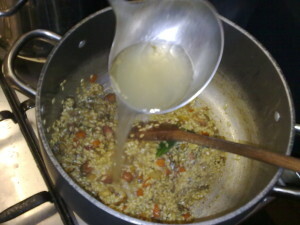 Add another glass of broth, keep stirring. 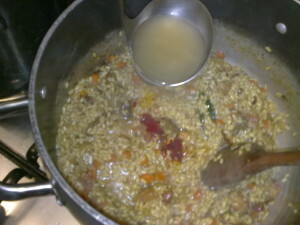 While cooking the rice absorb the broth. 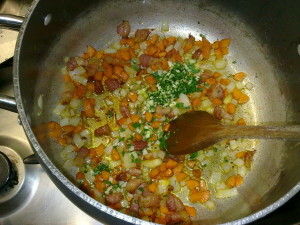 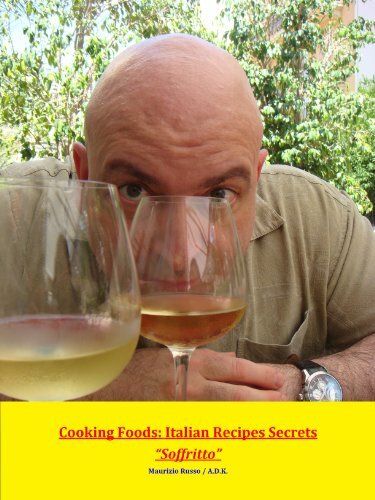 Add the remaining white wine: if you like the wine taste you add more. 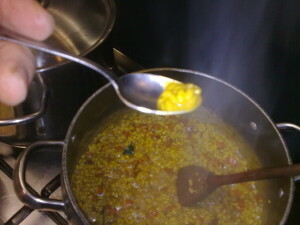 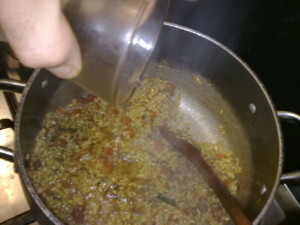 Stir well until the rice absorbed all the white wine. 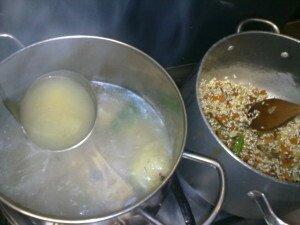 Add some broth and stir well. 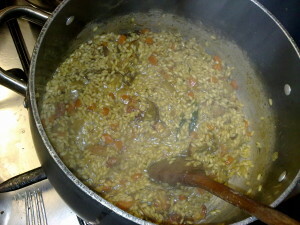 So far I didi not add salt: this is because the broth was salty enough to maintain the right risotto salinity. 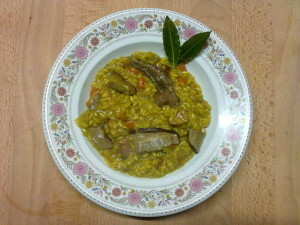 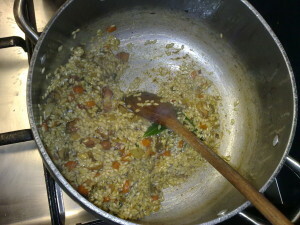 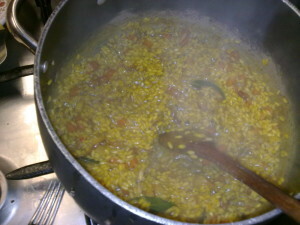 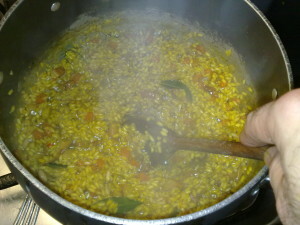 To cook a risotto takes 25 to 35 minutes, always stirring and paying attention to add some broth when necessary. 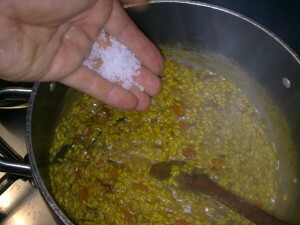 after 20 minutes I do salinity check. 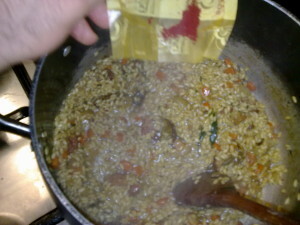 Adjusting the salinity adding small quantities: then re-check again. 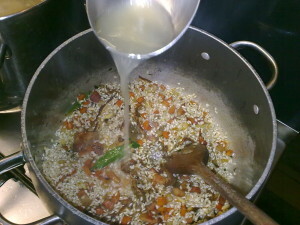 Adding broth if the rice becomes too dry. 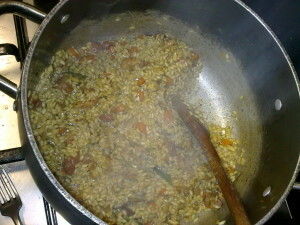 When ready you can add Parmesan cheese on top.